Dimitrios (ATHENS, Greece) on 6 October 2008 in Lifestyle & Culture. 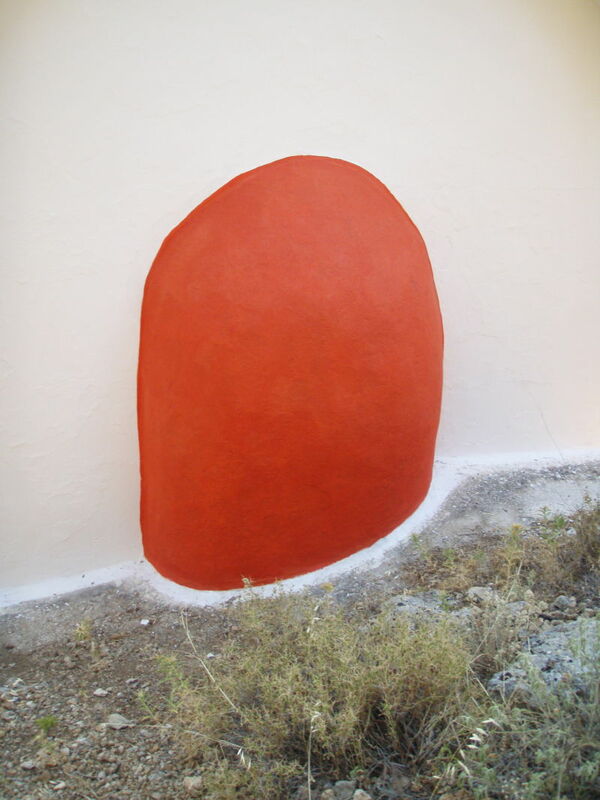 This is the back of a new small chapel in Alonissos where the alter is, people like to paint these in bright colours like, red and blue. That's very interesting D, what a lovely colour against the white. Very red!! Nice to guess what it is before reading the explanation. Interesting almost abstact if you cropped the ground out. Fascinating that the back of an alter gets painted this lovely color---- hotline to GOD. Now I know where are the hot spots in Greece!